Innovative Rehab partnered with Pam Garton (from Abilita Services) at the 2018 SARRAH Conference. Our workshop: Innovative Approaches to building Pain Management Service Capacity in rural and remote locations generated much discussion and debate. How best do we get key recovery messages to people with pain in rural and remote areas? We enjoyed hearing about innovative allied health service models, the uniqueness of life in rural remote areas, differences in community culture and the resilience and resourcefulness of our rural and remote allied health colleagues! 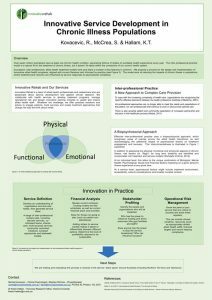 We were honoured to present a poster at last year’s National Allied Health Conference on service developments in chronic illness populations. The presentation sparked some wonderful discussions with great people about the service challenges in all sorts of locations. Did you know over 7 million Australians have at least one chronic health condition, generating billions of dollars of avoidable health expenditure every year? 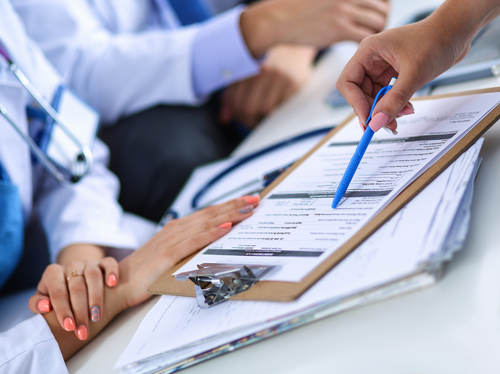 The inter-professional practice model is a natural fit for the treatment of chronic illness, but it doesn’t fit easily within the constraints of our current health system. The poster below illustrates our proposed model for the design and implementation of innovative allied health programs, aligned with current literature and informed by practice. Innovative Rehab are proud to be a part of the inaugural Interprofessional Health, Education & Practice (IHEP) International Conference. This conference complements VU’s commitment to interprofessional education and practice though its IPE program by bringing together an international community of scholars and clinicians.